Call 01434 320077 and choose option 3. Please leave your prescription order on our prescription line answer machine. Call in at the Practice between 8.30am and 6.30pm Monday – Friday. It helps if you use the form provided with your last prescription – just tick the boxes for the medication you need. You can order by post, using the repeat form on your last prescription. By registering with EMIS access - this system is safe and all your personal information is encrypted. When ordering medication please state whether you wish to collect the prescription from the surgery or from the chemist. Remember: Your prescription needs to be raised, printed, checked and signed by a doctor. The practice aims to have your prescription ready in 48 hours from the time of receiving your request. Please note that prescriptions are not processed by the practice at weekends or during public holidays. If the collector is not the patient or a parent (in the case of a child) then we will require written authorisation from you. If you think you are experiencing side effects then you must discuss this with a Practice Nurse or doctor. The only items that will automatically be re-prescribed on request are those items on your re-order slip. If the item is not on repeat but you have had it previously as a repeat or a ‘one-off’ prescription we may be able to prescribe it but it may take longer than 48 hours to authorise and you may still be asked to make an appointment to see the doctor. Please note that most drugs we prescribe by the generic name and not the trade name. The chemist may supply the medication in a manufacturers branded packet. 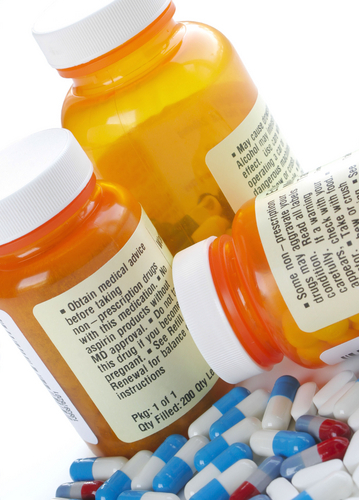 The dispensing label will have the correct generic name that you should use when ordering. Please register for EMIS ACCESS to request repeat medication/prescriptions. EMIS ACCESS REGISTRATION FORM If you don't currently have access to EMIS ACCESS, please print and hand in the completed registration form to the practice. One form per patient is required. For more information about NHS Prescription fees and costs please visit NHS England Healthcosts. CCG confirms prescribing of over the counter medicines is changing. The NHS currently spends around £136 million a year on prescriptions for medicines that can be bought from a pharmacy or supermarket, such as paracetamol. By reducing the amount it spends on OTC medicines, the NHS can give priority to treatments for people with more serious conditions, such as cancer, diabetes and mental health problems. Your GP, nurse or pharmacist will not generally give you a prescription for medicines available Over The Counter (OTC) for a range of minor health concerns. These changes are in relation to NHS prescribing range of medicines, vitamins and minerals that are available to buy from pharmacies and supermarkets. The team of health professionals at your local pharmacy can offer help and clinical advice to manage minor health concerns. If your symptoms suggest it's more serious, they'll ensure you get the care you need. This was part of a drive to reduce prescribing of OTC medicines to save the NHS money, and included items for conditions that are considered to be self-limiting and do not need treatment as they will heal of their own accord, and those which lend themselves to self-care and can be treated by an OTC medicine. The medication called Lyrica has recently come off patent which means that other drug companies can manufacture it cheaper. The NHS need to control costs by utilising the more cost- effective companies, therefore the name of this medication in future will be prescribed as either Pregabalin or Rewisca their should be no difference in its effect. Our Medicine Manager will be contacting patients shortly to offer a medication review with a doctor, However if you wish to discuss this sooner please contact the surgery to make an appointment. The National Insutute for Health and Clinical Excellence (NICE) reviewed Glucosamine in February 2008 as part of their clinical guidelines for the treatment of osteoarthritis. Their review showed there was a lack of good medical evidence to support the ongoing use of glucosamine. We have deen discouraged from prescribing it since and recently NHS North of Tyne has suggested that all prescriptions should now cease. If you take Glucosamine and feel that it helps your symptoms, you may continue to use it as it is generally felt to have very limited side effects. However, you will need to purchase it over the counter. It is available at most pharmacies, supermarkets, and health food shops. A new campaign, Think Pharmacy First, started on 1 April 2009 and is available to adults who are entitled to free prescriptions on the grounds of low income and their children. People over 60 are also entitled to use the scheme. The scheme enables people who receive free prescriptions to get free treatment and medicines for minor ailments directly from their community pharmacy. The Think Pharmacy First campaign will give patients the choice of going to their pharmacist for a consultation where they will be given advice and free over the counter medicine, where appropriate. They will be referred to a GP where necessary. The Think Pharmacy First campaign will give these patients the choice of going to their pharmacist for a free consultation where they will be given advice and free over the counter medicine, where appropriate. There is no charge for this service and no appointment is necessary. Remember your prescription will take a further 12 hours at the chemist to be dispensed.